This Valentine’s Day, give your beloved the gift of huge… tracts of land. 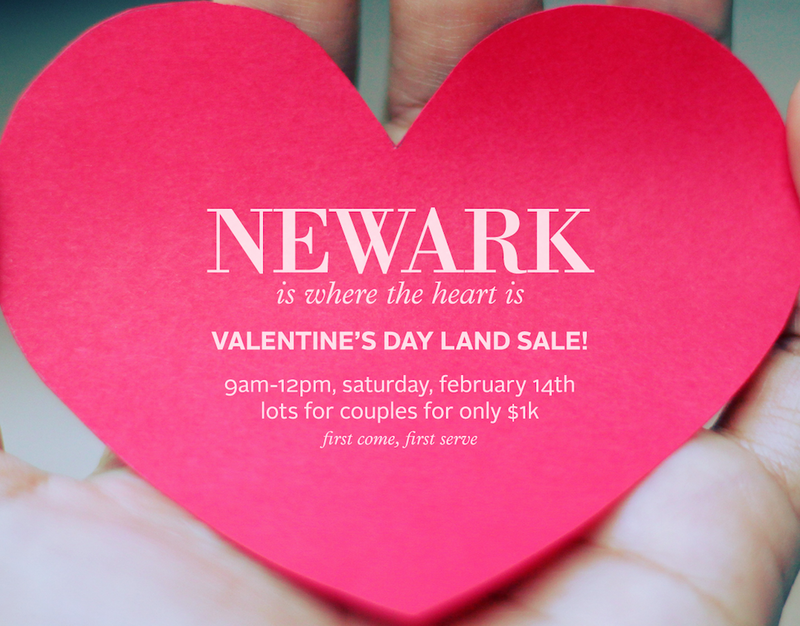 Newark, New Jersey is offering a sweetheart deal for couples — 100 vacant parcels of city-owned land are up for sale this weekend, for the dirt-cheap price of $1,000 each. The Valentine’s Day land sale is only open to couples — developers, investors and select city employees need not apply, according to the city website. Prospective buyers do not have to be married or residents of Newark, but they must agree to build a home on the parcel and then live in the city. The romantic proposal is part of a initiative by Mayor Ras J. Baraka to encourage growth in the South and West wards and transform vacant properties into flourishing, taxable residences. Sales will start Saturday 9am at Newark City Hall. The lots will be sold on a first-come, first-served basis. Each couple is limited to one lot, and the Newark Council must approve all sales. Buyers are required to make a down payment of $500 and pay the remaining $500 at closing. New owners are responsible for all closing costs, and every purchaser must submit a City Planning Board approved site plan in order to close on the property. In addition, buyers must prove that they have the funds for building their new homes, and construction must be completed within 18 months of closing. Finally, the couples must live in their new residences for at least five years after the certificate of occupancy is issued. For more information on the sale and a map of lot locations, visit the city website here.